Translation Services 24 is one of the leading UK translation agencies. We specialise in providing translations, interpreting and other language services in over 200 different languages. As a fast growing translation agency, we pride ourselves in working with rare languages, other agencies might not be able to accommodate. Due to growth in the market, Mongolian Translation Services are becoming a very popular request amongst our clients. 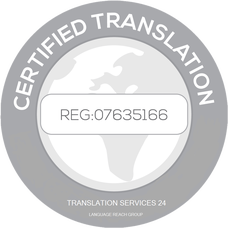 Working with a variety of clients, from locally based SMEs to some of the world’s largest organisations, allowed us to develop a translation process, which not only guarantees accurate translations, but also ensures fast turnaround times and competitive pricing. Here at Translation Services 24 we truly believe that reliable translations must go further than simply converting words and always keeping their literal meaning. Very often, especially within the marketing environment, for your material to work perfectly in a foreign market, it must not only be translated, but also carefully localised. Mongolian language might differ slightly depending on the area of the world you wish to target. Therefore, we always ensure that your documents and other materials are always translated by a native Mongolian speaker who comes from the region of the world you wish to address. Being able to speak a language simply isn’t enough to become a professional translator. We know, that your particular business sector might consist of language and jargon which is very specific within your business area. A professional conversation between two lawyers will be different to a conversation between two medical specialists. Consequently, in order to accommodate your individual needs and to ensure that your Mongolian translation is as reliable as possible, our translators are not only native speakers of your target language, but also have a first-hand experience within your specific business sector. Whether you need legal translation services or website translation, we’ve got you covered! Frequently, managing language translation projects is a dynamic and time consuming process. Here at TS24 we work with some of the top project managers in the translation industry, who are used to working under pressure and to tight deadlines. Moreover, to optimise our Mongolian translation services even further, we make use of the most sophisticated software. The experience we have gained throughout years by working with some of the world’s largest businesses and organisations allowed us to develop a translation process which guarantees highest accuracy and fast turnaround times. Our standard service covers up to 2,500 words per 24 hours. However, we can also offer fast turnaround times of up to 20,000 words within a 24-hour deadline. If you need a written Mongolian translation service, or for an interpreter to attend conference or a meeting, you can simply get in touch with us by emailing info@translationservices24.com or using one of the contact forms available on our website and we will get back to you with an accurate quote within just 30 minutes.